Vaping Company VooPoo Has Left a Bad Smell in the Air! Many vapers involved in the vaping community, including a large number of vape reviewers, are calling for an Absolut boycott of all VooPoo products after a deal has fallen through. There has been an eager, and anticipated wait for the release of the Pulse 80W regulated squonker, but that all looks like it has fallen through now. If you’re looking for used vape gear or vaping accessories, then head over to Used Vape and check out their range of vaporizers. They also have a large number of vapers who take part in the vaping forum and a wide range of vaping related blogs, vaping articles, and vape news. To summarize it all for you, just in case you aren’t already aware, VooPoo agreed to supply 40,000 of its Gene Chips to Vandy Vape for their upcoming Pulse 80W regulated squonker. This squonking mod has been talked about for a while now, with thousands of enthusiastic vapers eagerly awaiting its release. You could be waiting a lot longer now! They raised the price, but it looks as if they’re pulling out of the deal altogether and could be looking at producing their own version of the popular pulse squonker. So far, despite the deal looking extremely shady, there may not be a lot that Vandy Vape can do about it. The Pulse manufacturers, Vandy Vape, look to have only had a verbal agreement with VooPoo, despite the fact that they had joined up to create samples utilizing the Gene Chip. As with all business relationships and deals, a contract is golden, despite verbal agreements and handshakes. If you haven’t gotten it written in ink, you’re in a world of trouble if something falls through. In this case, something has seriously fallen through. While legally they may not have done anything wrong, professionally and morally VooPoo is stepping into the shady area of vaping manufacturing. Famous vaper Tony B released a video in which he explained his position regarding the new vaping deal. In the video, he said “I’m told that VooPoo May does not have ‘signed’ a contract for the 40k boards, but there were many oral, email, and even an email directly to me stating they would deliver 40k boards to us. Also, when VV sent someone to that factory, they made them sit and wait for 3 hours then came out to say they couldn’t meet. But there was eventually a face to face where they agreed to provide the chips.” If you would like to see the full Tony B interview or statement, you can check out the video here. It’s hard to feel bad for everyone involved in this sorry saga, but you have to be honest and think to yourself why didn’t they sign a contract? It’s a basic principle, and in the end, it’ll only protect everyone involved in any business relationship. 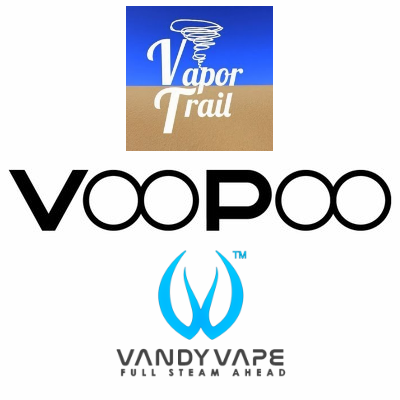 Check out the full statement by VooPoo here, and also the statement by Vandy Vapes here.